Another variety that we present to you is Boys Jeans! We keep ourselves aware of the hottest fashion trends while manufacturing it. We make use of the finest quality clothing material for its production. As a result, our Jeans is durable, cozy and colorfast. From Uttar Pradesh, India, we are Manufacturer, Exporter & Supplier of Boys Jeans and widely acknowledged for our fair price policies. 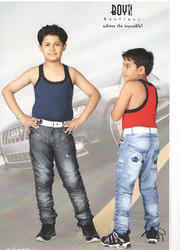 Keeping in mind the emerging needs of our clients, our experts are occupied in providing a wide range of Boys Jeans. 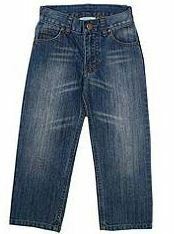 We offer Men's Fashion Jeans not only to national but international market also. Our range of Men's Fashion Jeans is in high demand due to the quality fabric. Available in various sizes and color patterns, these Men's Fashion Jeans are comfortable.